The BERG Rally Pearl has the exciting colour combinations and compact design of a real eye-catcher in the neighbourhood! 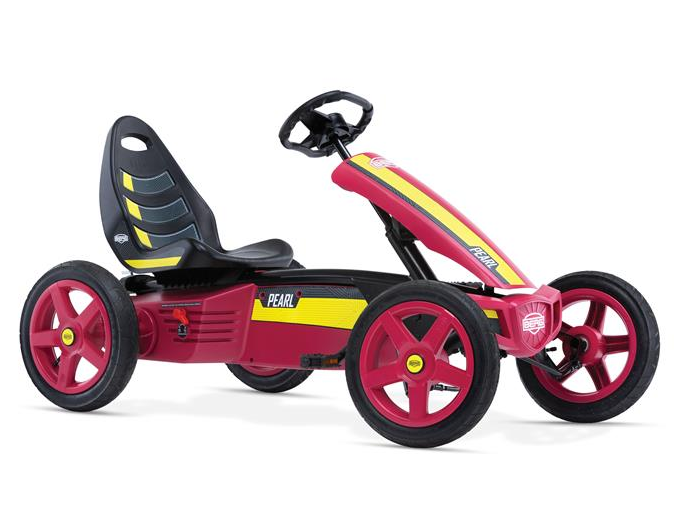 The go-kart has a small turning circle, making it very manoeuvrable. 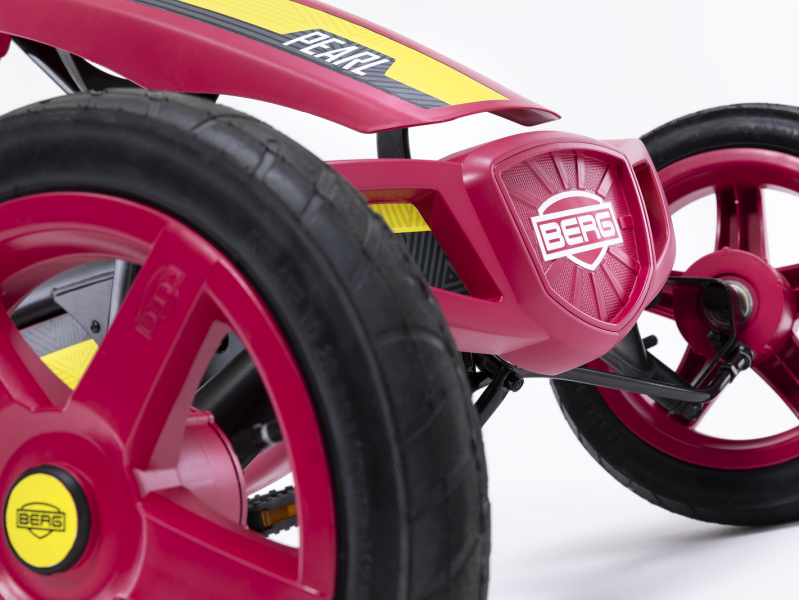 Equipped with the BFR system you can drive forwards, brake but also reverse by simply pedalling forwards and backwards. The Rally is fitted with 4 pneumatic tyres which enable you to drive around quietly and comfortably. Together with the swing axle, this makes the go-kart stable and safe.